The Thames Skills Academy (TSA) has announced the appointment of Dr Katherine Riggs as chief executive officer. The TSA was set up in 2016 to provide high quality, cost-effective marine-related training, meeting the growing demand for trained ships masters and crew on the tidal Thames. All types of river use are currently growing and the Port of London Authority’s (PLA) Thames Vision, the 20 year development framework for the river, suggests this will continue over the long term. Katherine Riggs joins the TSA from the PLA where, for the last three years, she has led the development of the Thames Vision. Prior to the PLA, Katherine headed the Strategy Unit at the Department for Environment, Food and Rural Affairs. Katherine will take over from outgoing TSA chief executive officer, Julian Parkes on 1 February 2018. Julian spent the last two years setting up the organisation, seeing the first cohort of TSA apprentices into training, and has opted now to move on to new challenges. TSA chairman, Richard Everitt, said: “We are delighted to be having Katherine join us on 1 February. 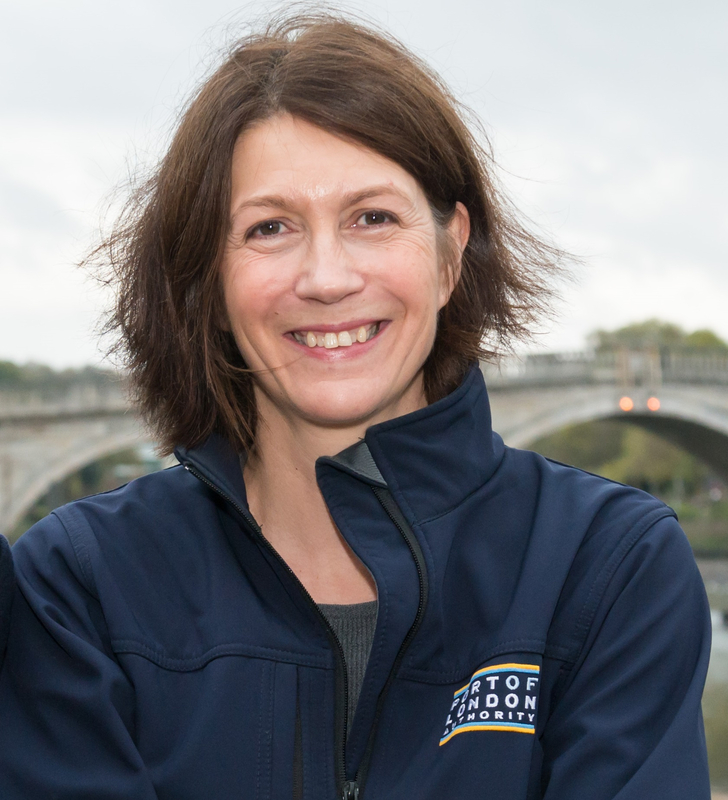 Her background developing the Thames Vision, her understanding of Whitehall and an obvious passion for the River, means she’s ideally placed to lead the TSA through the next phase of its development. • The Thames Skills Academy (TSA) is a Group Training Association (GTA) - a learning and skills partnership where employers subscribe to sector-specific, on and off-the-job training in order to provide efficient, expertly-delivered skills and outcomes that meet employers’ specific needs across a particular section of industry. The TSA was established in 2016 by the PLA, Tideway, Transport for London and the Company of Watermen and Lightermen. These organisations have a direct and long-term interest in maintaining safety on the tidal Thames; and raising the standard of skills and the competency of individuals working in the Inland Waterways and port operations sectors within the Port of London and wider Thames Estuary. • As a GTA, the TSA provides a cohesive, co-ordinated approach to maritime training on the tidal Thames. It aims to raise standards and level of skills afloat, as Inland Waterways operators face increasing demands for their services. • Working closely with its employer members, the TSA identifies their training needs – both afloat and ashore – and then brokers and facilitates a comprehensive range of training options to meet those needs. The TSA also actively supports its members with their employment and recruitment issues, including through engaging with young people and promoting careers in the maritime sector; in particular the Inland Waterways. As a pro-active member of the Maritime Skills Alliance, the TSA also assists and supports employers nationally, through the development, maintenance and revision of marine competency requirements, qualifications and apprenticeship standards.